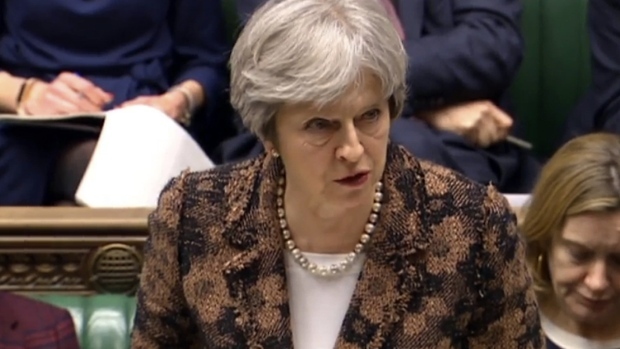 May said Russia had provided no explanation, but "treated the use of a military-grade nerve agent in Europe with sarcasm, contempt and defiance"
Relations between Britain and Russia plunged Wednesday to a chilly level not seen since the Cold War as Prime Minister Theresa May expelled 23 diplomats, severed high-level contacts and vowed both open and covert action against Kremlin meddling after the poisoning of a former spy. Russia said it would respond soon to what it called Britain's "crude" and "hostile" actions. While May pledged to disrupt Russian espionage and "hostile state activity," she gave few details about how hard Britain would hit Russian politicians and oligarchs where it really hurts — in their wallets. "Expelling diplomats is a kind of a standard response," said Natasha Kuhrt, a Russia expert at King's College London. "I'm not sure it's going to make Moscow stand up and think." 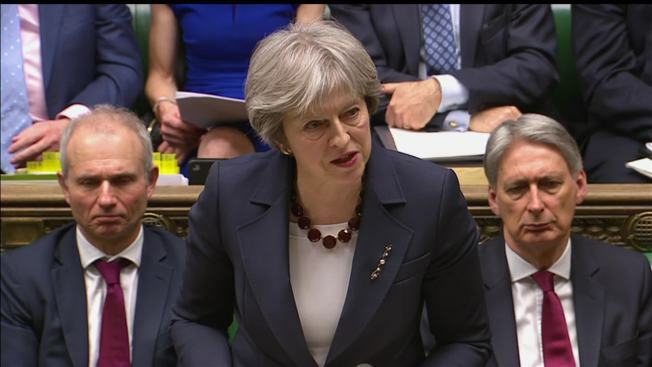 British Prime Minister Theresa May said it was “highly likely” Russia was behind the poisoning of former Russian spy Sergei Skripal and his daughter, Yulia. They are in critical condition after exposure to a military-grade nerve agent. May told the House of Commons that 23 Russians diplomats who have been identified as undeclared intelligence officers have a week to leave Britain. "This will be the single biggest expulsion for over 30 years," May said, adding that it would "fundamentally degrade Russian intelligence capability in the U.K. for years to come." May spoke after Moscow ignored a midnight deadline to explain how the nerve agent Novichok, developed by the Soviet Union, was used against Sergei Skripal, an ex-Russian agent convicted of spying for Britain, and his daughter Yulia. They remain in critical condition in a hospital in Salisbury, southwestern England, after being found unconscious March 4. May said "there is no alternative conclusion other than that the Russian state was culpable for the attempted murder of Mr. Skripal and his daughter." She announced a range of economic and diplomatic measures, including the suspension of high-level contacts with Russia. An invitation for Russian Foreign Minister Sergey Lavrov to visit Britain has been canceled, and British ministers and royals won't attend the soccer World Cup in Russia this summer. May also said Britain would clamp down on murky Russian money and strengthen its powers to impose sanctions on abusers of human rights, though she gave few details. "We will freeze Russian state assets wherever we have the evidence that they may be used to threaten the life or property of U.K. nationals or residents," May said, promising to use all legal powers against criminals and corrupt elites, and to "increase checks on private flights, customs and freight." "There is no place for these people — or their money — in our country," she said. May said some of the measures "cannot be shared publicly for reasons of national security." The Russian Embassy in London said the expulsion of diplomats was "totally unacceptable, unjustified and shortsighted." 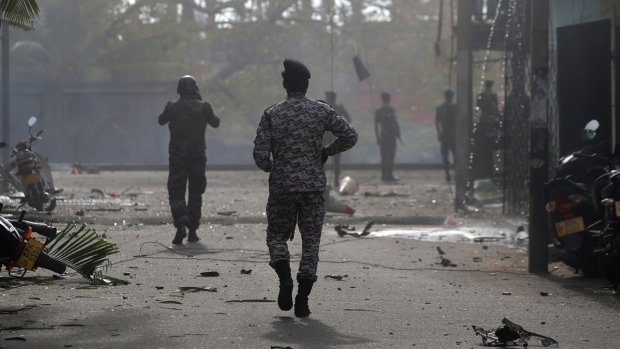 Ambassador Alexander Yakovenko called Britain's actions were "a provocation." Russia did not immediately announce retaliatory measures, but its Foreign Ministry said "our response will not be long in coming." It said Britain's "hostile measures" were "an unprecedentedly crude provocation." Britain called an emergency meeting of the U.N. Security Council in New York at which U.K. and Russian diplomats traded accusations, with Britain blaming the Russian state for the attack and Russia vehemently denying responsibility. Some Russia experts said the measures announced by May were unlikely to make Russian President Vladimir Putin's government change its behavior. She didn't expel Russia's ambassador or announce sanctions against any individuals or companies. Critics of the British government have long claimed that the U.K. is reluctant to act against Russia because London's property market and financial sector are magnets for billions in Russian money. "There does not seem to be any real appetite so far to investigate the ill-gotten gains of the Russian elite that have been laundered through London," said John Lough, an associate fellow in the Eurasia program at the Chatham House think-tank. "It is not clear to me that London's response will hit the Kremlin where it hurts." Moscow has denied responsibility for Skripal's poisoning. It refused to comply with Britain's demand for an explanation, saying the U.K. must first provide samples of the poison collected by investigators. Some in Russia have suggested that the nerve agent could have come from another former Soviet country. Lawmaker Vladimir Gutenev, a member of Russia's state commission for chemical disarmament, said Russia had scrapped its stockpile of Novichok. Britain is seeking support from allies in the European Union and NATO in response to the use of an illegal chemical weapon on British soil. May's office said President Donald Trump told the prime minister the U.S. was "with the U.K. all the way." But Britain faces an uphill battle in rallying international backing for any new measures against Moscow. European Council President Donald Tusk said he would put the attack on the agenda at an EU summit meeting next week. The U.N. Security Council — of which Russia is a veto-wielding member — was due to meet later Wednesday at Britain's request to discuss the investigation. At U.N. headquarters, deputy spokesman Farhan Haq said Secretary-General Antonio Guterres was not in a position to attribute responsibility for the attack, but "he strongly condemns the use of any nerve agent or chemical weapons and hopes that the incident will be thoroughly investigated." NATO promised to help investigate what it called "the first offensive use of a nerve agent" in Europe or North America since the military alliance was founded in 1949. But it's unclear what, if anything, NATO can do to put more pressure on Russia. Relations between the old Cold War foes are already poor and short of military action the alliance has little leverage. May said Russia's use of a chemical weapon was "an affront to the prohibition on the use of chemical weapons. And it is an affront to the rules-based system on which we and our international partners depend." "We will work with our allies and partners to confront such actions wherever they threaten our security, at home and abroad," she said. U.S. Ambassador Nikki Haley is calling the assassination attempt against a former Russian agent in southern England part of "an alarming increase" in the use of chemical weapons — and says Russia is "a growing concern in all of this dangerous and destabilizing activity." Haley says the U.S. will stop complaining about Russia "if the Russian government stopped using chemical weapons to assassinate its enemies, and if the Russian government stopped helping its Syrian allies to use chemical weapons to kill Syrian children." She told an emergency meeting of the Security Council on Wednesday that Russia must also cooperate with the Organization for the Prohibition of Chemical Weapons and turn over all information related to the military-grade nerve agent Novichok that British official say was used in the attack. The White House says the U.S. "stands in solidarity" with Britain after it expelled 23 Russian diplomats in retaliation for Russia's alleged use of a nerve agent against a former Russian spy and his daughter. Press Secretary Sarah Sanders says the United States "shares the United Kingdom's assessment that Russia is responsible" for the attack. The White House is not announcing any actions in response to what it is calling an "abhorrent attack." Sanders says the poisoning of Sergei Skripal fits into a pattern of Russia disregarding international law, undermining the sovereignty of other countries, and trying to "subvert and discredit Western democratic institutions and processes." Russia's U.N. ambassador says "the only civilized way" of settling the issue of responsibility for the assassination attempt against a former Russian agent in England is a joint British-Russian investigation. Vassily Nebenzia told an emergency meeting of the U.N. Security Council called by Britain on Wednesday that "Russia had nothing to do with this incident" and "we have nothing to fear and nothing to hide." He accused Britain of creating "a hysterical atmosphere." Nebenzia asked how the assassination attempt could benefit Russia on the eve of its presidential election and its hosting of soccer's World Cup. He added: "I can think of a number of countries that would benefit a great deal from this incident and accusing Russia of it." The envoy said ex-spy Sergei Skripal was no longer any threat to Russia. Associated Press writers Vladimir Isachenkov and Jim Heintz in Moscow, Lorne Cook and Raf Casert in Brussels, and Edith M. Lederer at the United Nations, contributed to this report.